PRAYER PROMPT ••• Jesus came as the light of the world. Just as a lighthouse was designed to help ships navigate the choppy waters of a coastline and avoid catastrophe, so does a relationship with Jesus help us navigate the waters of life. It doesn’t promise that we won’t experience storms, but He promises to be with us and guide us, no matter how fierce the waves. With Jesus by our side, we have nothing to fear. However, those who don’t believe have much to fear… even if they are very talented at hiding that fear. That’s where you step in… as Christians we are to let Jesus shine through us, so that others may see His light. 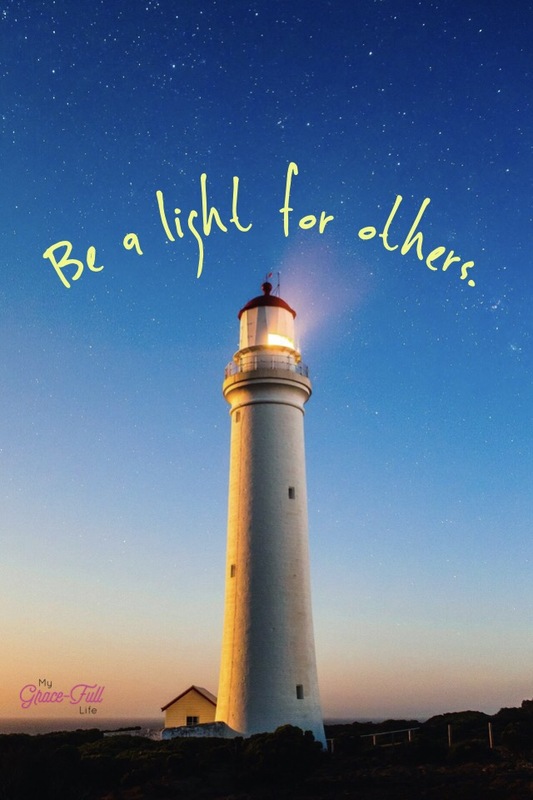 Today, ask Jesus to help you be the shining light that others need to see. Let the radiance of Jesus shine in your life! You may be the only way someone realizes they even need a light to navigate their way!